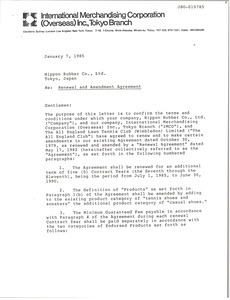 Second renewal agreement with Renown Incorporated. 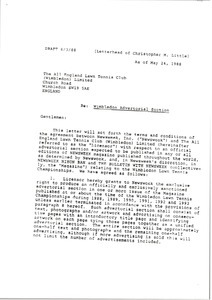 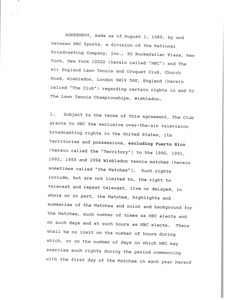 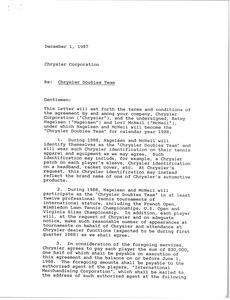 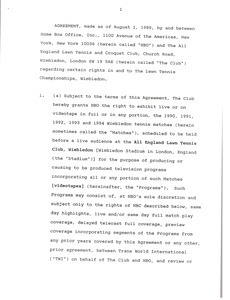 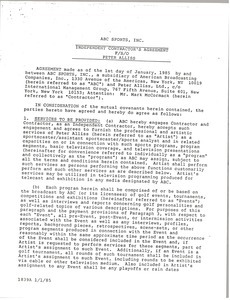 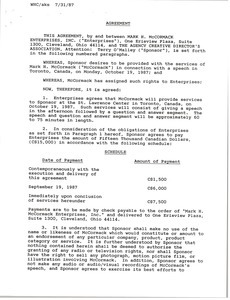 Draft of the Chrysler Doubles Team contract for Betsy Nagelsen McCormack and Lori McNeil. 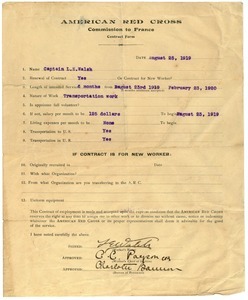 New York (N.Y.) - Providing travel information on his credit for passages on flights to Port-au-Prince, Haiti, via Miami. 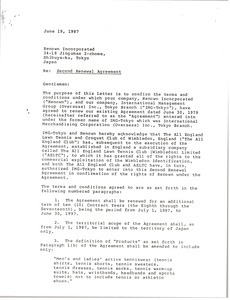 Letter from Arthur J. Lafave to Nippon Rubber Co., Ltd.
Sending the renewal and Amendment agreement.